This is it! 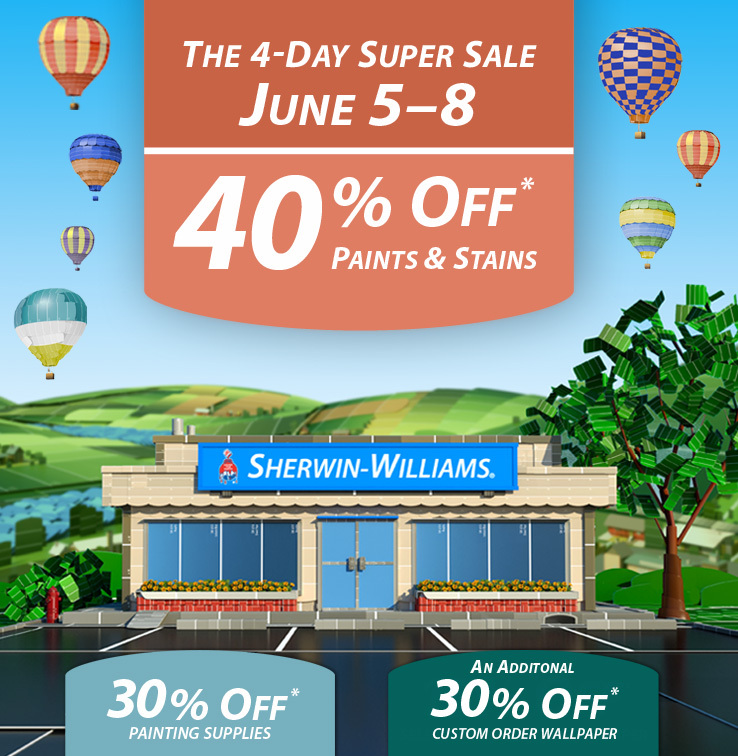 Now is your chance to pick up Sherwin Williams paint at their lowest prices of the year!From today through June 8, 2015, you can get 40% off Sherwin Williams paints and stains! This is their very best price, and it’s only offered a couple of times each year. No coupon required, but click here for more info. You can also get 30% off painting supplies and wallpaper. What will you be painting this summer…leave us a comment with the colors you chose.